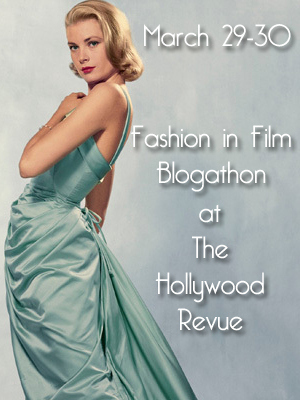 I am thrilled to participate in The Hollywood Revue’s Fashion In Film Blogathon. I have always been a passionate fan of both topics- fashion and film. To my fellow film pals, my joy for cinema is probably obvious. But I started my love for fashion at the same young age. I actually worked in apparel retail from the age of sixteen to the age of thirty-six. In high school, I’d carry my latest issue of Vogue magazine to classes, learned French for the sole purpose of being able to read French Vogue, and had planned to take my fashion design sketches to college at FIT (the Fashion Institute of Technology in New York) in hopes of working in the garment district as a fashion designer. I never made it to FIT but my love for fashion has never stopped. As styles have changed from the early days of cinema in the silent era, to the latest fashions seen in current films today, trends and influences have always been closely followed via film. For me, my favorite fashion in film choices were beautifully worn by two legendary actresses during the same era: Doris Day and Grace Kelly. Any classic film fan worth their salt knows the story of Grace Kelly. She was the Irish American girl from Philly who possessed the big screen with such stunning beauty and elegance that she charmed a Monacan prince and become a real-life princess. During her film career, Kelly always brought her personal beauty to every role. 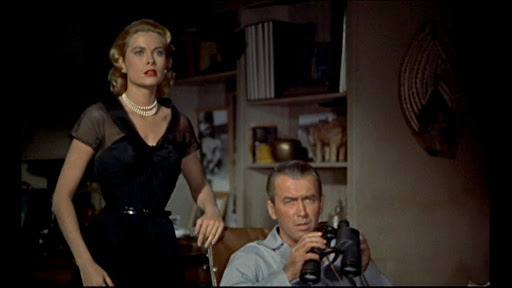 But her beauty and grace was never more radiant than when she shined in Alfred Hitchcock’s REAR WINDOW (1954). 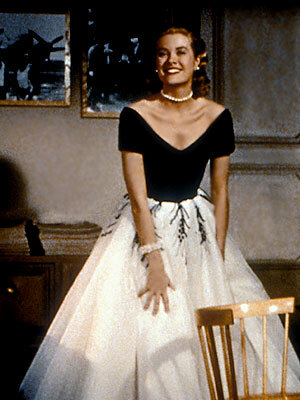 What’s amazing about the fashion in this film is that every single outfit Kelly wears is breath-taking. Each costume design reflects a clean, simple and feminine glamor inspirational to mid-century American design. Credit obviously must go to costume designing genius Edith Head but also to director Alfred Hitchcock. Edith Head was already a living legend by now and had a long and successful working relationship with Hitch. Hitchcock worked closely with Head in every step of the design process to ensure it mirrored the mood, tone and story-telling. She transitions to a black belted cocktail dress with accordion pleat skirting. It’s slightly less formal, with similar lines and multiple pearl strands. As the story continues, Lisa and Jeff (portrayed by James Stewart) grow closer to one another as the mysterious crime unfolds before them and her attire gradually loosens in formality with each change. We see her in a light green suit, belted in white with a gathered, sleeveless halter top. The style is signature 50’s with the skirt length hitting in the area between mid-calf and just below the knee (or “tea-length” as my grandmother would say), jacket sleeve gathered at the elbow and topped off with white gloves, a white pill box hat and chin length veil. And of course, the pearls are ever-present. With her next dress, Kelly blossoms in a sleeveless garden dress, bursting with antique golden roses in hues of champagne, goldenrod and brown tones. The lines again are classic 50’s style and we see her style grow more casual (perfect for some digging in the neighbor’s flower garden or climbing a trellis to capture would-be murderers). In the end, true intimacy has been reached between Lisa and Jeff. After he peacefully falls asleep, Lisa transitions from a book to a fashion magazine; lounging in a casual red button-up shirt, cuffed jean capris and penny loafers. She feels completely at home. My next favorite example of a similarly simple, clean and exquisite 50’s design is beautifully worn by the legendary Doris Day in PILLOW TALK (1959). Also a popular platinum blond actress with a flawless figure, Doris Day was already the premier film fashionista by the time PILLOW TALK hit the big screen. This film is a showcase for her terrific comedic timing and charming chemistry with co-star Rock Hudson, but it’s Day’s parade of costume changes that keeps me absolutely mesmerized no matter how many times I watch it. A boxy suit in a perfect hue of lapis azure with a black fur hat. The lines are simple, yet bold (the collar lapels extend just past the shoulder hem.) Black and blue never looked better. A creamy beige sheath dress and coat topped off by a red lampshade hat displays another lovely twist on the monochromatic theme. The dress is cinched with matching wide belt and pendant and both the dress and coat have 3/4 length sleeves. Perfectly suited to Doris Day in every way. This long winter white sheath dress is a clear stand-out in the film (so much so that they made a Barbie doll copy of it.) Floor length, sleeveless, wrapping the shoulders and gathered to the left shoulder, with a deep open plunge in the back… this outfit literally fit her like a glove. Speaking of which, the extremely long gloves and fur shrug- also in a monochromatic shades of white – pulled together the most stunning outfit in the film. Isn’t she heavenly in shades of white? I love how this gathered forest green ‘strapless dress’ with spaghetti straps shows off Day’s shapely figure but the emerald green satin A-line swing coat with bold lines really makes a statement when she walks into the room. But I must admit, I have never cared for the choice of turquoise and gold jewelry; because to me, it simply doesn’t match in either color nor in formality. In shades of olive and dark green, I really enjoyed this fitted bodice dress with matching fur hat. The gold and brown toned jewelry is the right compliment. This off-white belted sweater dress with roll neck shows off her most flattery tones- monochromatic shades of white. Set design was purposefully set in white-wash to assist in this visual feast of complimentary color. This red coat (same bold red as seen earlier with her lampshade chapeau) makes an incredible entrance with leopard animal print lampshade hat with matching muff. I adore this outfit and would personally wear this ensemble in a heartbeat. Apparently I’m not the only one who thought this look was worth repeating as Audrey Hepburn is shown wearing a similar outfit a few years later in CHARADE (1963). I recall a faux dark mink muff I carried around as a little girl. I long for the return of hats, long gloves, and muffs making a comeback. Finally, I must draw attention to this little black velvet suit. Simple yet plentiful in cuteness factor. It’s always in the details. I love the piping trim, the bow on the cream blouse, and the crushed velvet beret with adornment… all adding up to an adorable outfit from what could have been just a boring black suit. There are a few outfits and many nighties/ pajamas from PILLOW TALK (after all, it is about the battle of the sexes) that I chose not to include in my line-up. Frankly, I’m just not a fan of the 50’s style polyester/rayon nightie. But, I hope you have enjoyed the fashions from these two films as I have and continue to do so; time and time again, every time I enjoy these two films. Both Grace Kelly and Doris Day carry some key similarities… both outstanding platinum blond actresses with intelligence, beauty, grace and sophistication. But without a doubt, they are in a league of their own in terms of fashion trendsetters for their roles in these two iconic films. 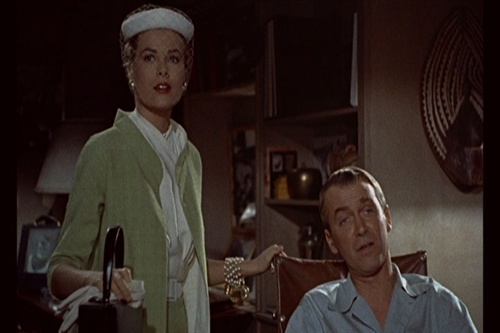 The first time I saw Rear Window in middle school I was taken with Kelly's wardrobe. However, though this might sound strange, my favorite dress then and still is the orange, flowered sundress. I guess because it's the most attainable style in the movie.I agree with you on not loving 1950s nightgowns, but pretty much every outfit Doris (my all time favorite actress) wear is perfect. I remember hearing in a documentary this was the first time she ever looked really fashionable in a movie. Early in her career she wasn't comfortable with low cut dresses or showing alot of her figure. Wonderful post! A wonderful look at two beautiful women who really knew how to wear clothes. Grace always looked elegant, and Doris never looked bad in anything.Great article. Thanks so much for reading & commenting, Jessica! I agree with your taste in actresses! Isn't Doris Day absolutely wonderful?!? I've always been amazed by her extraordinary talent. I think her comedy skills are flawless. Thanks for a very fun, enlightening tour through the wardrobes of two fabulously well-dressed films! You have such an eye for the details—hem lengths, collar styles—that make an impression without us always realizing.And, as you say, "I long for the return of hats, long gloves, and muffs making a comeback." You and me both! Loved your post, Kellee, and this celebration of Day and Kelly in these films. I especially like Doris Day's two white outfits in Pillow Talk — I think they're simply stunning. Good stuff! 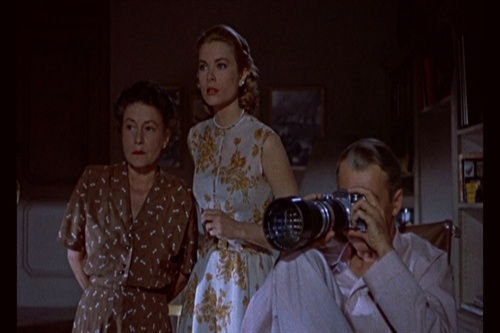 Grace Kelly has long been a style icon (and Edith Head's designs for "Rear Window" much admired). Doris Day not so much. With "Pillow Talk," though, her image seemed to become more sophisticated. Still wholesome but much less casual. I especially like that emerald green satin swing coat you featured, a retro style I can't resist. I've always thought DD looked her most fetching in "The Thrill of it All." Great post, Kellee. Great choices for movies to talk about, both of those are some of my favorite style movies. And I totally agree about muffs needing to make a comeback! I've seen some nice vintage muffs at flea markets and have always thought they'd be a really fun alternative to wearing gloves. Thank you so much for joining in my blogathon! Okay, I could go on and on about the costumes in both these movies, but let me just say that I am SO glad you highlighted both of these together. Both Grace Kelly and Doris Day wore some fab designers during their time on and off screen and these movies are excellent examples of that.Also, I think it's utterly cool that you learned French in order to read French Vogue. Nice to know more about you fashion passion, Kellee.Rear Window is probably the Hitchcock film with better outfits. Of course Grace Kelly is responsible for this, and I can't choose which is the better.Doris Day's hats are specially amusing. Yet she has many lovely clothes in Pillow Talk and other movies, I always remember a weird flower hat she wears in the beach in Lover come back.Don't forget to red my contribution to the blogathon! :)Kisses! What can you say about Grace Kelly – just perfection. For me, Doris Day was a real fashion icon. Starting with "Pillow Talk" she really transformed herself from the girl next-door to the fashionista next-door! Love post. I nearly fainted when I saw the Grace Kelly fashion exhibit at the V&A a few years back. Her style was flawless and enduring. I never really thought about the style of Doris Day. But like so many women of that time she was impeccably put together. Cannot hate on that AND she did look good in her clothes too :)Great read! Doris was such a fine comedienne that I think people sometimes forget that she could look stunning. She looks simply smashing in the white gown with the daring back and in the green evening gown. Of course, then it's back to cute, funny Doris with her hats! You included some great pics of her from PILLOW TALK. Ah yes- "The Thrill of it All" – another fun & fashionable film for Doris Day. And oh that James Garner- hubba hubba! Do you have any swing coats, by the way? I have a few- super fun! Thanks for commenting, gal. I get cold easily- so I'd most likely wear BOTH the muff and the long gloves. Perfect accessories for a romantic sleigh ride, I always thought. 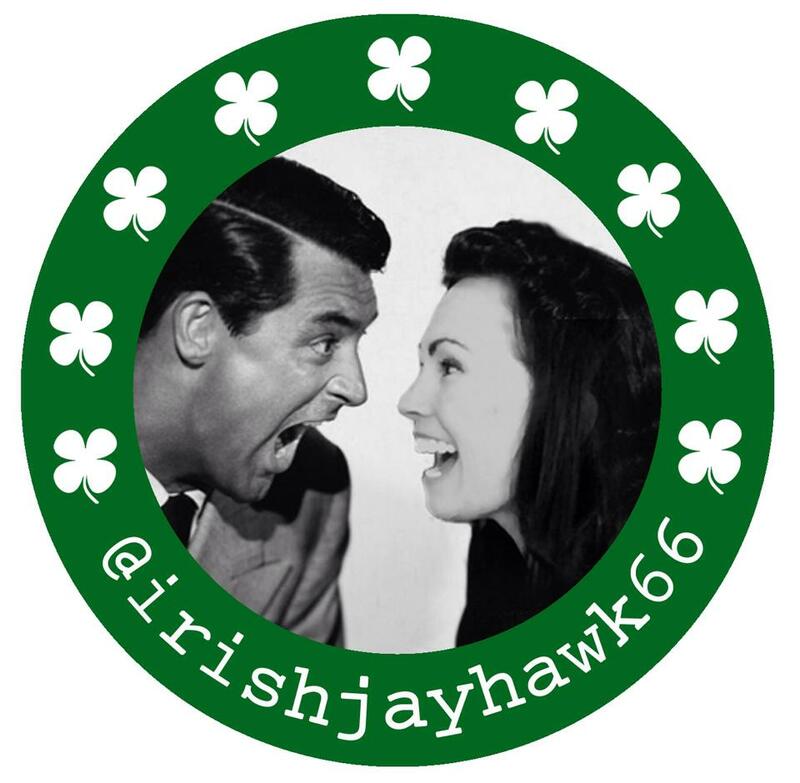 I really appreciate you hosting this marvelous blogathon! Thanks for letting me join along! Awww- we are like-minded in film style appreciation, I see. Ha- glad you didn't think I'm a complete nut for my motivation to learn French. I'm sure many thought I was a total nerd for taking my Vogue to gym class. The french did come in handy when I went to Paris for 4 days for the honeymoon of my 1st marriage. I want to back with my hubby someday. Thanks so much for reading my post! Doris Day did indeed wear some funky hats. I hope to get caught up on my reading soon- looking forward to yours! Thanks, Le! I couldn't agree more- and thanks so much!! Oh Aurora- you are always the most fashionable person I know in terms of friendship- your friendship & cinematic knowledge is haute couture! Thanks so much, sweetie! !